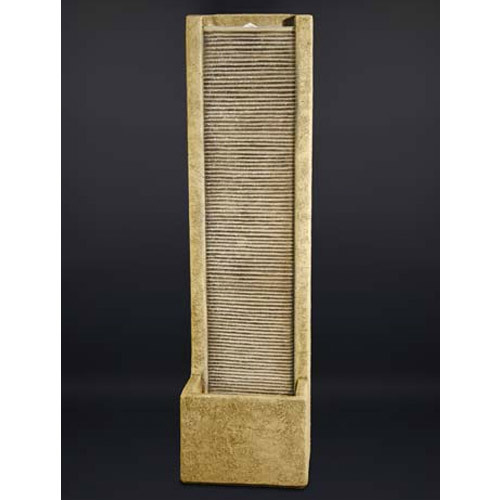 This one-of-a-kind hand crafted granite piece is a perfect addition to your courtyard area or patio space. 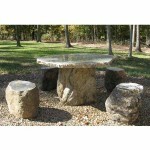 The round table top is smooth and polished, sitting atop an hourglass shaped base. 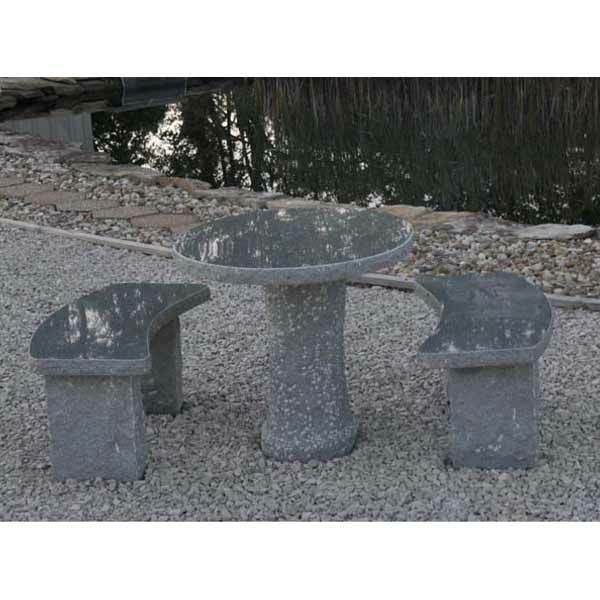 The table is pictured with a pair of charcoal curved granite benches. 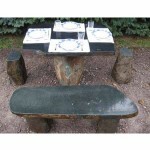 Each set is hand crafted and unique, so the specifications vary slightly. Don’t forget to browse other categories! 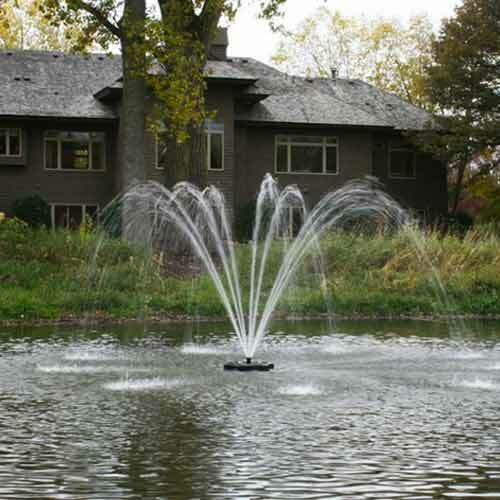 You don’t want to decide on the perfect fountain for your garden, or the waterfall you always wanted for your patio and find that you could have done even more! 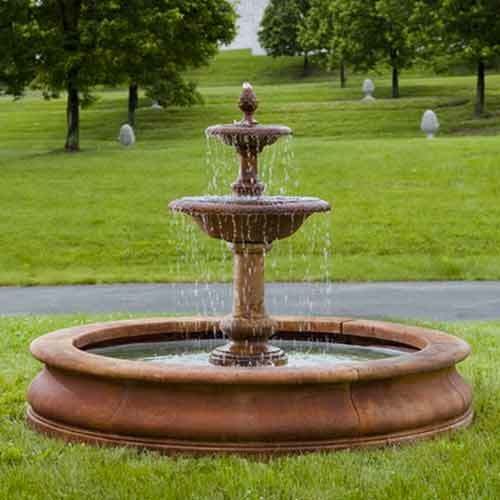 Don’t forget to look around the rest of our online catalog to see what inspires you. 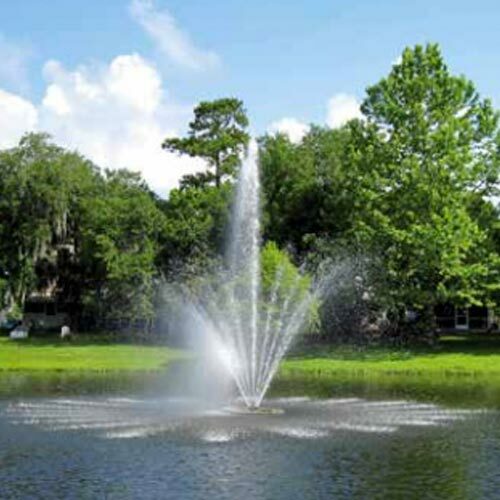 You may come across the water feature you never you always loved!